Former Rep. Beto O'Rourke (D-Texas), who is running for president in 2020, released 10 years of his tax returns on Monday. The tax returns stretch from 2008 through 2017, and his campaign said in a statement that O'Rourke will release his 2018 returns "as soon as possible after they are filed." Monday is the deadline for people to file their 2018 returns, the first that reflect President Trump's tax-cut law, but people can request a six-month extension. The campaign added that O'Rourke's decision to release his returns "follows his commitment to increasing accountability and transparency while in the House of Representatives when he held monthly public town halls back in his district where any person could ask any question." In 2017, O'Rourke and his wife, Amy, had adjusted gross income of $366,455 and paid $81,019 in taxes, for an effective tax rate of 22.1 percent. The O'Rourkes reported $1,166 in charitable contributions, $1,000 of which went to Annunciation House, which helps migrant, homeless and economically vulnerable people in the El Paso-Juarez area. 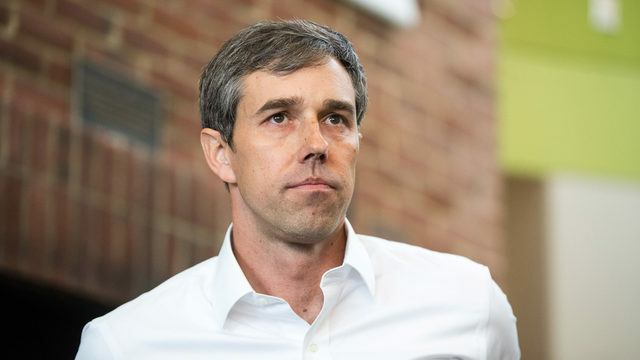 O'Rourke became the latest of several 2020 candidates to release his financial information amid an intensified push from Democrats to obtain President Trump's tax returns. Sen. Bernie Sanders (I-Vt.) also released 10 years of tax returns on Monday. Other Democratic candidates who have released their returns include Sens. Kamala Harris (Calif.), Elizabeth Warren (Mass. ), Amy Klobuchar (Minn.) and Kirsten Gillibrand (N.Y.). Trump has yet to publicly disclose his returns, saying that he is under audit and won't release his taxes until he isn't, though the IRS has publicly said an audit in no way prevents Americans from disclosing their tax info.